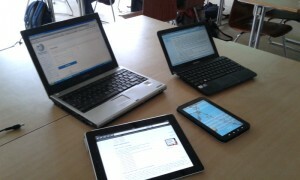 Home » Ideas » What If All Schools Were BYOD? 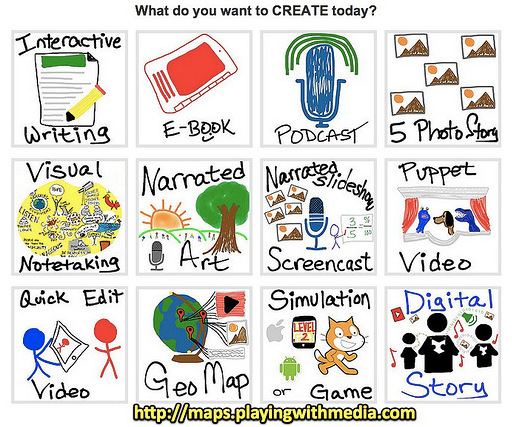 Can you imagine if all elementary, middle and high schools had a policy of bringing your own devices (BYOD)? There is no doubt that there are many schools out there that have already embraced technology and BYOD policies. What about your school? If your school does not have this policy, have you asked why not? As an educator and a teacher, I find that there is immeasurable value that technology adds into the classroom if the teacher knows how to leverage it right. For example, technology in classroom allows students to have instant resources for individual research as well as collaborative work. Additionally, digital work can easily be shared with the class, family and other students. Check out the SAMR model to see how technology can change learning in the classroom. But it is not only BYOD that will immediately bring success to the class or school – it’s the people. “It has spirited teachers, exemplary leadership and a commitment to figuring out how to teach each student,” wrote Marge Scherer in the February 2011 ASCD issue on Transforming Education With Technology about a school she visited that exemplified good use of technology. If your school is not BYOD and does not embrace technology, it may be worth speaking with the principal or administration. If there is an interest but no plan or little understanding about the use of technology in schools, International Society for Technology in Education (ISTE) is a great resource to get started with. If there are no plans or intentions for embracing BYOD, creating a student campaign in support for BYOD may get things going in the right direction. What are you waiting for? BYOD may be the next big change in your school life.